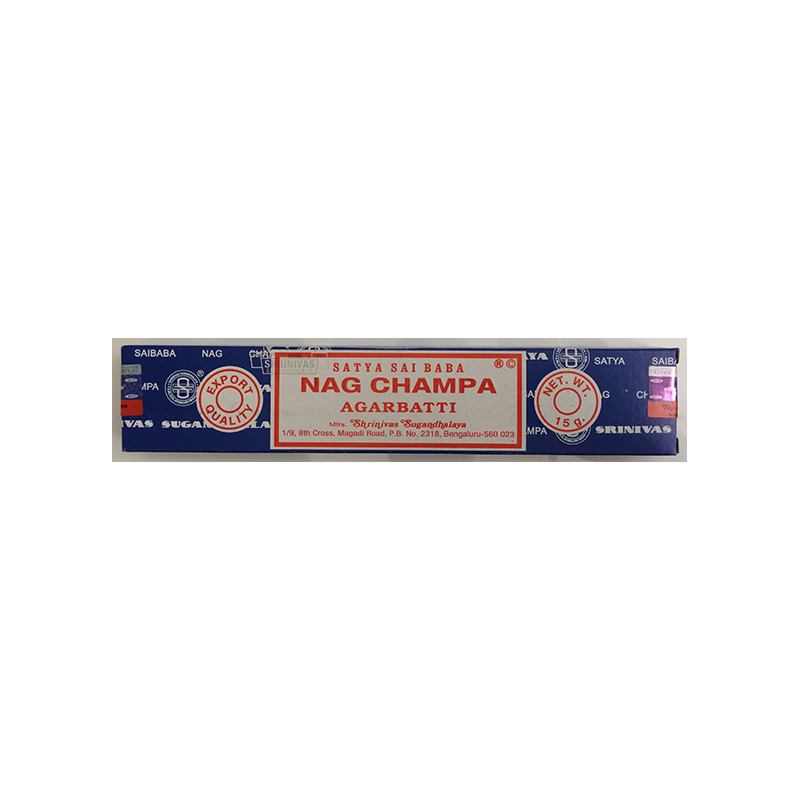 The Satya Sai Baba Nag Champa Incense sticks have a delicate fragrance produced from a mixture of herbs, floral extracts and oils hand-rolled onto a bamboo stick. 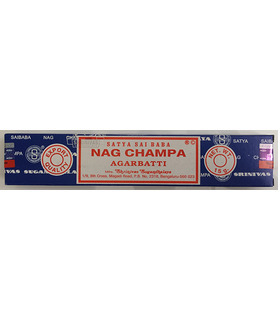 The stick burns for around 45 minutes and leaves a fresh aroma in the room. It is popular with musicians and yoga institutes. Ideal for poojas and religious ceremonies, the fragrant sticks are lit every morning and evening in many Indian households. Lighting these also creates a congenial atmosphere for meditation and spiritual contemplation. 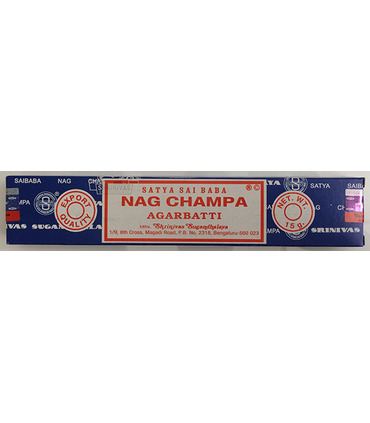 The Satya Sai Baba Nag Champa Incense sticks have a delicate fragrance produced from a mixture of herbs, floral extracts and oils hand-rolled onto a bamboo stick. The stick burns for around 45 minutes and leaves a fresh aroma in the room. It is popular with musicians and yoga institutes. 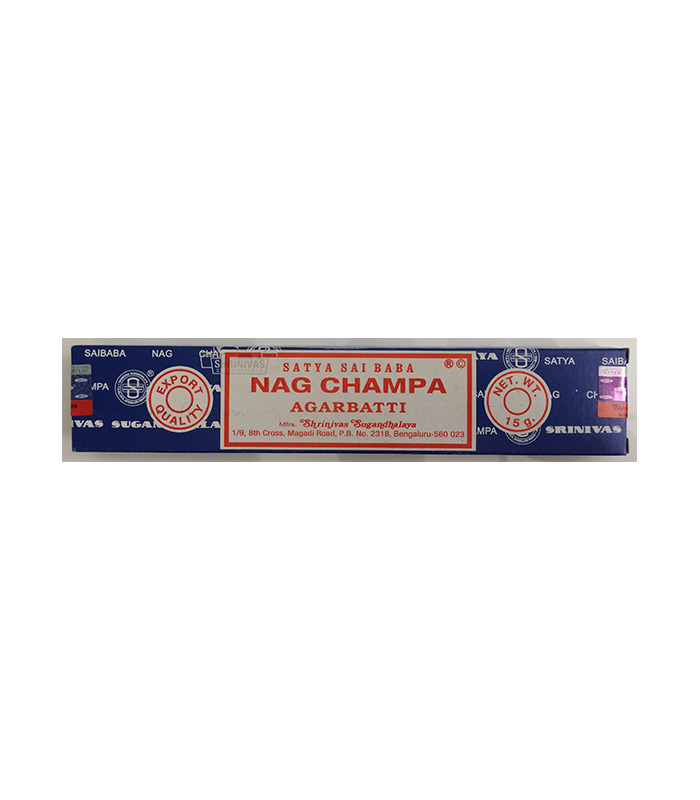 Ideal for poojas and religious ceremonies, the fragrant sticks are lit every morning and evening in many Indian households. Lighting these also creates a congenial atmosphere for meditation and spiritual contemplation.